The University of Rochester has been a member of the National Consortium for Graduate Degrees for Minorities in Engineering and Science (GEM) since 2009. GEM comprises universities and corporations that builds a strong support system for students pursuing advanced degrees. As GEM fellows, students have access to internship opportunities with corporations such as Eastman Kodak, Corning, Bausch & Lomb, and Exxon Mobil, among others. 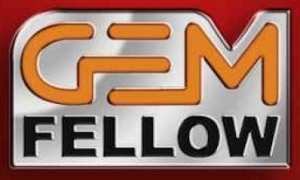 In addition, GEM fellows receive a stipend while attending graduate school, which is supplemented by member universities. GEM fellows who enroll at the University of Rochester attend tuition-free. To become a GEM fellow, fill out the online application.